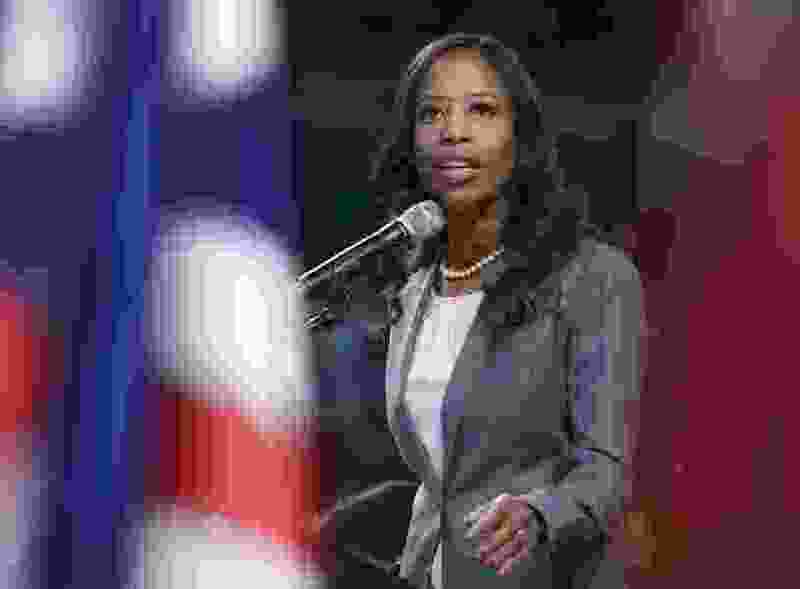 (Leah Hogsten | The Salt Lake Tribune) Mia Love, representative for Utah's 4th Congressional District, addresses the delegates at the Utah Republican Convention Saturday, April 21, 2018, at the Maverik Center in West Valley City. U.S. Rep. Mia Love will hold open office hours to hear from people in her district for up to 10 minutes at a time on Wednesday. She will take meetings on a first-come, first-served basis. To participate, people must live in her district, which covers politically mixed Salt Lake City suburbs and north-central regions of Utah. No appointment is necessary, but people are asked to sign up online at love.house.gov. Office hours begin at 10 a.m.
Love is expected to face a tough re-election challenge this fall from Democratic Salt Lake County Mayor Ben McAdams.